A silicone resin based, breathable paint that has the advantages of traditional mineral based paints as well as synthetic paints. Mapei Silancolor Paint is a silicone resin based, breathable masonry paint that has the advantages of traditional mineral based paints as well as synthetic paints. It makes the substrate very permeable to water vapour and is extremely water repellent. Mapei Silancolor Paint's has been developed for exterior and interior substrates producing a very permeable coating that is extremely resistant to water vapour and moisture. 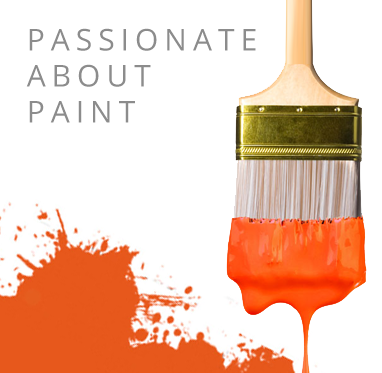 Mapei Silancolor Paint offers high adhesion to all types of traditional renders and old well bonded paints. Its water repellent nature protects the substrate from chemical aggression as well as remaining clean for longer than many other masonry paints even after many years of being exposed to rain and UV derogation making this an extremely durable paint. Silancolor Masonry Paint is resistant to alkaline, regular washing, U.V rays and ageing all without altering its properties or appearance. Silancolor Paint does not only protect the surface, but has a very pleasing smooth, opaque and velvet effect to the touch. Dilution rate add approx 650ml of water and mix with a paddle mix before application for a 5 Kg tub. Add approx 2.5 Litres of water to a 20 Kg drum and mix thoroughly using a low speed paddle mixer in an electric drill. This may vary due to ambient temperature and porosity of substrate. Silancolor Paint is applied using conventional methods such as brush, roller, spray or airless spay. A typical system consists of Silancolor Primer or Silancolor Base Coat followed by two coats of the Silancolor Paint. Apply two or more coats depending on the colour chosen or if you are trying to cover a dark colour with a pastel colour. Consumption is heavily influenced by the absorption and roughness of the substrate, by the colour of the paint applied and according to the application technique used. Under normal conditions, consumption is generally 0.3-0.4 kg/m2 (for two coats of the product). Theoretical coverage 5.7m2 per Kg per coat, 114m2 per tub per coat. Silancolor Paint is available in an extensive range of colours that can be produced from the ColorMap tinting system. Do not apply Silancolor Paint if the temperature is lower than +10 degrees C.
Dilution rate add approx 650ml of water and mix with a paddle mix before application for a 5 Kg tub. Add approx 2.5 Litres of water to a 20 Kg drum and mix. Available in 20 Kg tubs.